:: Chinese Painting :: - Dreams are what you wake up from. keep on sharing your works on facebook! would love to see more chinese paintings from others in your painting session too! 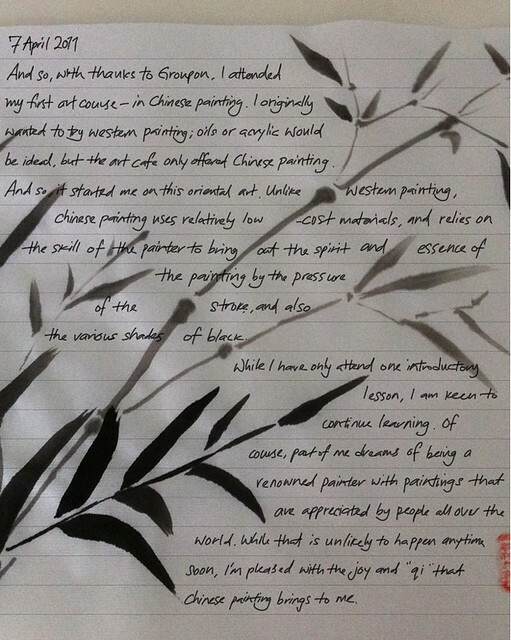 Chinese ink brush painting goes hand in hand with calligraphy. Calligraphy may seem rigid but it's fluid at the same time. where do you learn? got link? you know where cani learn glass art? you can join us the next time. at boat quay area.